Holbrook is on the banks of the Little Colorado River in northeastern Arizona's Navajo County high plateau country. In 1881 railroad tracks were laid in northeastern Arizona passing through an area known as Horsehead Crossing. The following year a railroad station was built at Horsehead Crossing and the community's name was changed to Holbrook in honor of H. R. Holbrook, first chief engineer of the Atlantic and Pacific Railroad. Holbrook, at an elevation of 5,080 feet, became the county seat of Navajo County in 1895 and was incorporated in 1917. A variety of attractions surround Holbrook. To the north is the rugged plateau country with striking canyons containing prehistoric cliff-dwellings, such as those found in Canyon de Chelly. Much of the plateau country is Navajo and Hopi Reservation land. These reservations offer unique attractions including ceremonial dances, tribal events, and Indian arts and crafts. 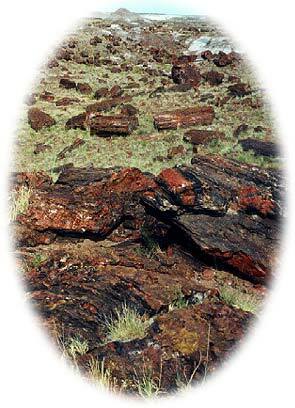 The Petrified Forest National Park with petrified logs displaying an array of colors and the Painted Desert with formation of soft rock in many colors offer unique experiences to area visitors. The Historic Courthouse which houses the Museum and Chamber of Commerce Visitors Center is one of only two Richardsonian Romanesque courthouses in the state and is listed on the National Register of Historic Places. Special events during the year include the annual Hashknife Posse Pony Express Ride in January, Holbrook Old West Celebration in June, the annual Fireman's Barbeque on the Fourth of July, the "Gathering of Eagles" Native American art show in mid-July, the Navajo County Fair and Navajo County Horse Racing in September and the Festival of Trees and Christmas Parade of Lights in early December. Located in the beautiful Petrified Forest National Park in northeast Arizona, Field Institutes offer outdoor learning opportunities - the park is the classroom.